The classic aviator shape, Bloc's junior Hurricane. Metal frame with plastic temple tips, ensure naturally great looking sunglass that suits all face shapes. Silver metal frame with black temple tips. 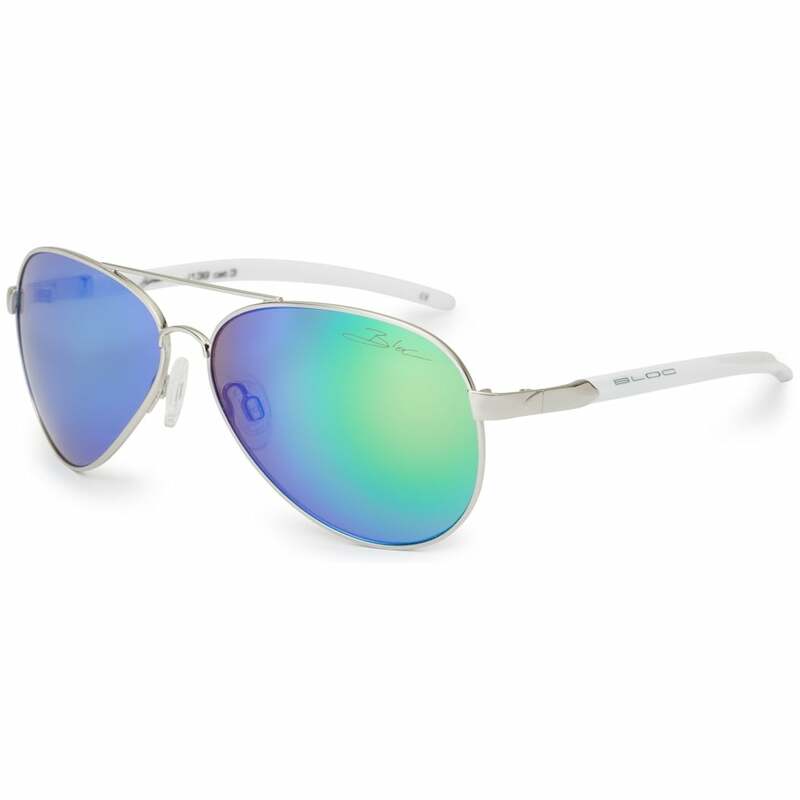 Green mirror category 3 polycarbonate lens, providing maximum UV protection. XTR Karbon8 Lens, MTX injected frames, Non-slip hypoallergenic silicon nose pads, Suitable for Junior faces.